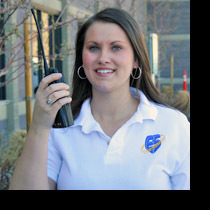 As the leading special event service provider in Northern Nevada, Events Services, Inc. has been providing services for over 20 years and has a reputation of excellence. Our experience and knowledge of the many local venues and venue personnel allows Events Services, Inc. to work closely with you to provide you with seamless services. Our hand picked personnel are trained in ticket services, parking services, usher services, directional services, badge services, and information services. We take great pride in our ability to provide professional, knowledgeable, and customer service driven personnel. Our personnel go out of their way to always have a warm and friendly smile, anticipate and meet your guest’s needs, and are great listeners. With our exceptional personnel, long-standing reputation of excellence, and extensive experience, Events Services, Inc. can meet your needs anytime, anywhere.